Several items belonging to social activist Kailash Satyarthi were stolen as the Nobel laureate’s home in Greater Kailash’s Aravali Apartments was broken into, DCP South East Delhi , India confirmed. 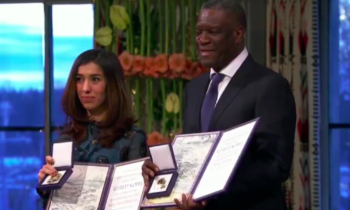 According to Media, the Nobel citation was allegedly stolen from the house in India. 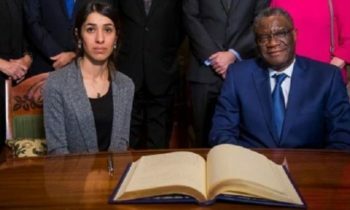 The child rights activist, who won the peace prize in 2014, had shared it with Malala Yousafzai from Pakistan. In 2004, Rabindranath Tagore’s Nobel Prize for literature, which he won in 1913, was also stolen. The Nobel Peace Prize medal won by Arthur Henderson, one of the founding fathers of Britain’s Labour Party, had been stolen in a £150,000 raid at the Lord Mayor’s office in Newcastle in April 2013. Henderson, a key figure in the modern Labour Party, was its first-ever cabinet minister and had won his prize for his ultimately unsuccessful work on international disarmament before World War II. In spite of an arrest, the medal has not been recovered till date. Former chairman of the Palestinian Liberation Authority, Yasser Arafat, had shared the 1994 Nobel Peace prize with then-Israeli Prime Minister Yitzhak Rabin and Foreign Minister Shimon Peres for their work in reaching the 1993 Oslo interim peace accord. After his death in 2004, the medallion had been kept in his Gaza headquarters. When the PLO rival Hamas seized control of Gaza in 2007 from forces loyal to Arafat’s successor, President Mahmoud Abbas, the building was looted and the medal stolen. It has since been returned and will be restored in a museum dedicated to the Palestinian leader where it will be preserved along with his other belongings. 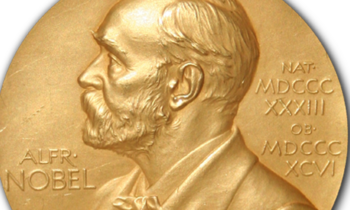 The first-ever Nobel medallion won by the University of California, Berkeley was stolen in February 2007. The 1939 Nobel Prize in physics was awarded to Professor Ernest O. Lawrence for the invention of the cyclotron, an accelerator of sub-atomic particles that led to the nuclear age. Lawrence died in 1958 and the Lawrence Hall of Science within the university, where the medal was on display and stolen from, was named in his honor. A few days after the theft, the medal was recovered and the thief, who turned out to be working in the premises, turned out to be a 22-year old university student, Ian Sanchez. Celebrated poet and composer Rabindranath Tagore’s 1913 Nobel Prize medal for literature was stolen from Visva Bharati University’s museum in Shantiniketan in March 2004, along with his certificate and some personal possessions. The theft case, which was opened, closed (due to lack of progress), opened again and closed again by the CBI, saw some progress in November 2016 when Pradip Bauri was arrested by the special investigation team (SIT) in connection with it for providing a safe passage to the culprits to move the stolen items from Shanti Niketan to elsewhere. 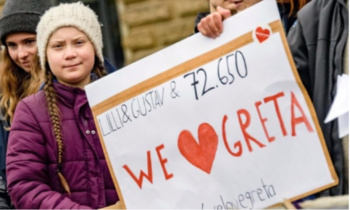 While Nobel Prize gold medals tend to sell for tens of thousands of dollars (if not millions) when they are auctioned, stolen medals are usually only worth their value in gold to the thieves and are likely dissolved quickly. Before 1980, the Nobel Prize medal used to be made from 23 carat gold. They are now made with 18 carat green gold, plated with 24 carat gold.